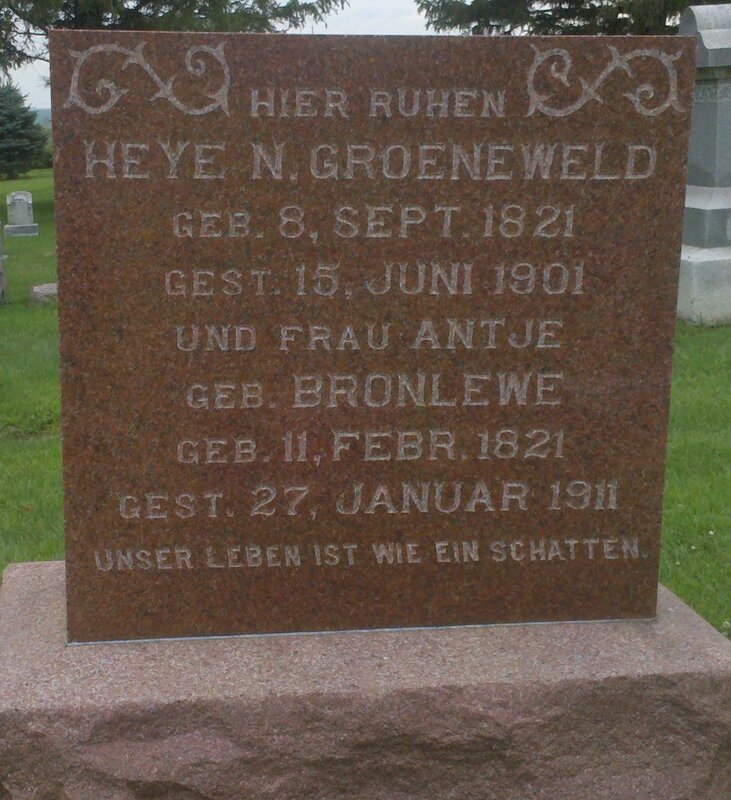 My interest in genealogy started many years ago when my aunt Ella Kruse showed me the tombstones of my great-great grandparents, Heye Groeneveld and Antje Bronlewe; and, my great-grandparents, John and Martha Sievers, in the St. Peter’s UCC Cemetery of rural Wellsburg, Iowa. Some of the inscriptions were in German and, it seemed I would never learn more about these ancestors. But eventually I did, and this blog is a continuing commentary of what, so far, has been an incredible experience. Tracing a family tree is not a solo project and I have had much assistance from my husband, Jim, and collaboration with far-reaching cousins from California to Germany to France. Thanks to Neil for his terrific analytical skills and persistence; Jane and Jens for providing the bulk of the material on the Schwans lines (ten pages of ancestors, meticulously researched! ); Antje and Hinrich (my eighth cousin!) for the Groeneveld material that connected where I first began my search; Adrian (now deceased) who researched the Krier line the “old” way, before the use of the Internet … and to all who have contributed so much along the way. Thank you! I retired in July 2009 from a 35 year career at the Iowa State University Library, the last 10 years of which were spent cataloging software and non-book materials. Currently I serve as librarian of the Story County Genealogical Society, co-administrator of the website (storygenes.com). and mangage the society Facebook page (facebook.com/storygenes). I’m also a former officer in the Iowa Genealogical Society, website events editor (iowagenealogy.org), and Facebook administrator (Facebook.com/iagensoc). 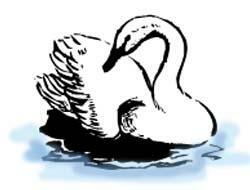 And I’m a member of the Ostfriesen Heritage Society and the Ostfriesen Genealogical Society of America. I also do a fair number of the research requests our local genealogy society gets. That’s enough genealogy to keep me busy! Seeing the names of these ancestors carved into the stone so many years ago created my interest in genealogy. 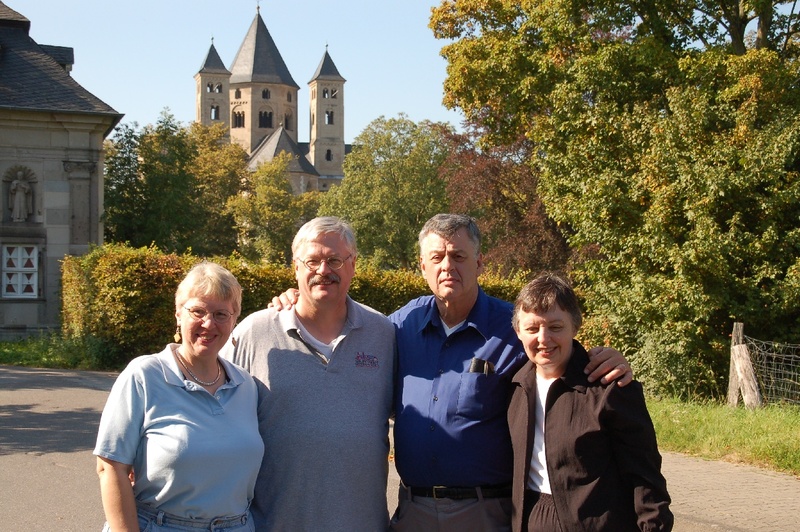 Jane and Jens Delger, Jim and Mary Lohr at Kloster Knechtsteden in Rommerskirchen, Germany, September 2011. A trip to the land of our ancestors with memories to last a life-time! At the Kloster Knechtsteden in Rommerskirchen, Germany.